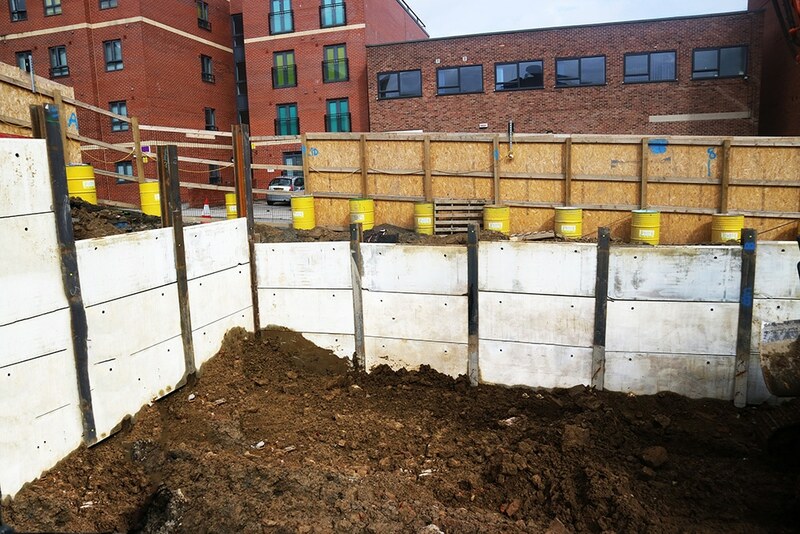 King Post Walls, also known as Soldier Piles, are some of the oldest forms of retaining systems used in deep excavations. 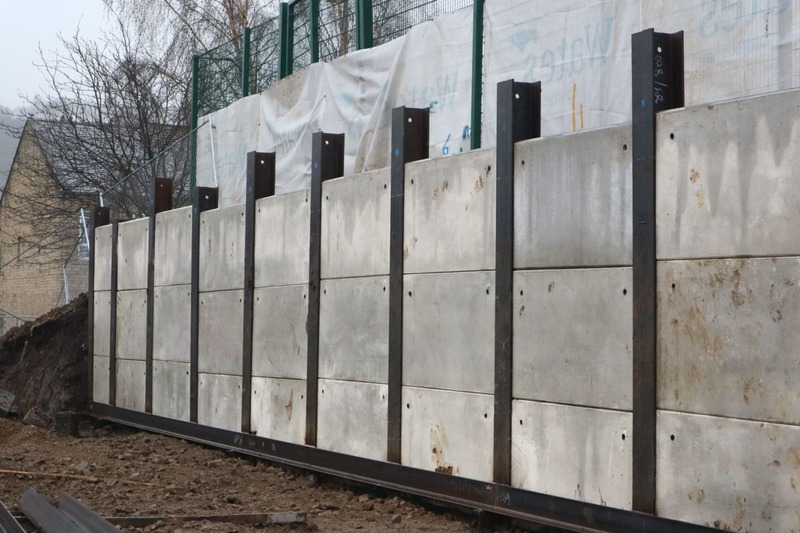 King Post Walls have successfully been used since the late 18th Century in metropolitan cities like New York, Berlin, and London. 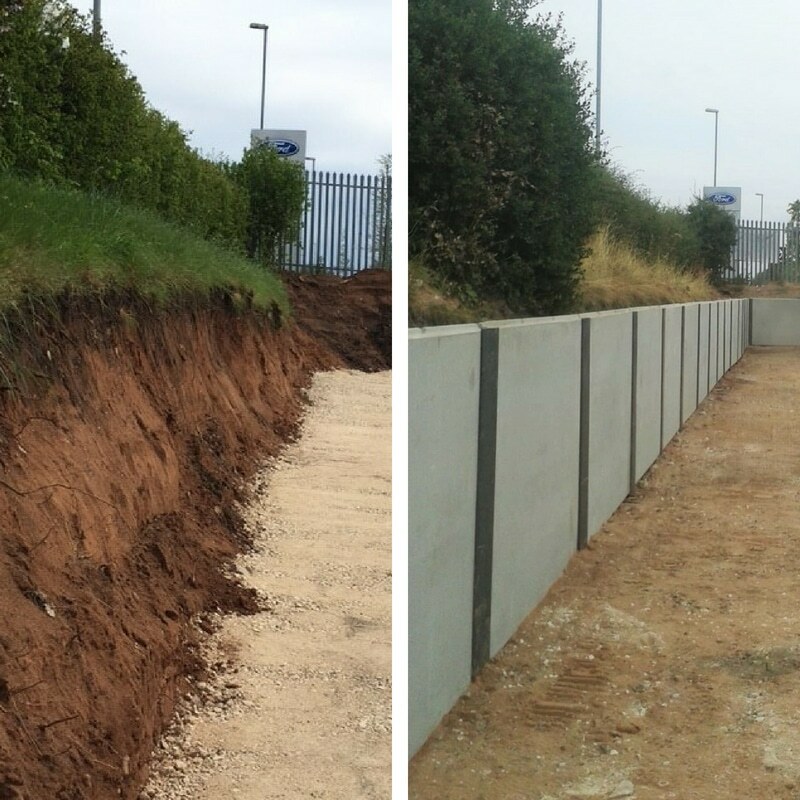 King Posts are isolated steel columns that are installed along the line of the proposed retaining wall typically at centres between 1 and 3m. 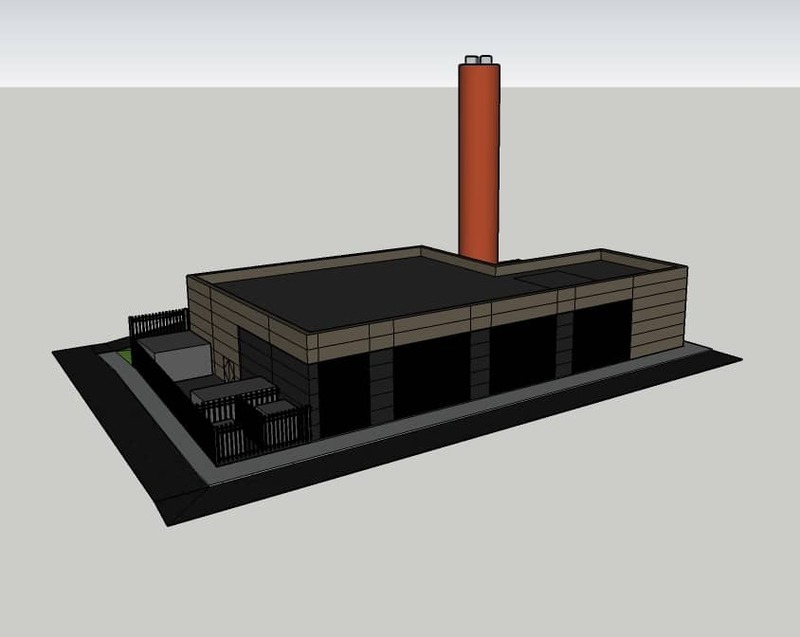 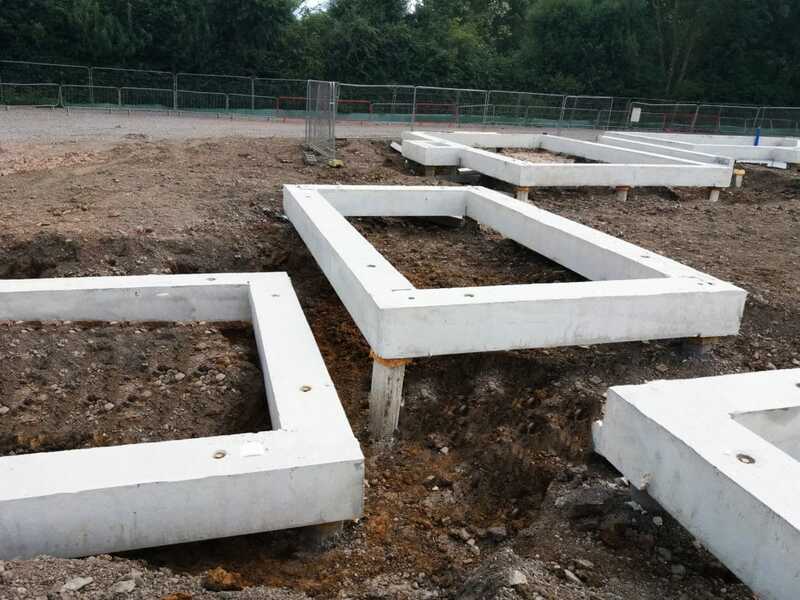 The space between the posts is filled, over the retained height, using a variety of different solutions but most commonly a precast concrete panel. 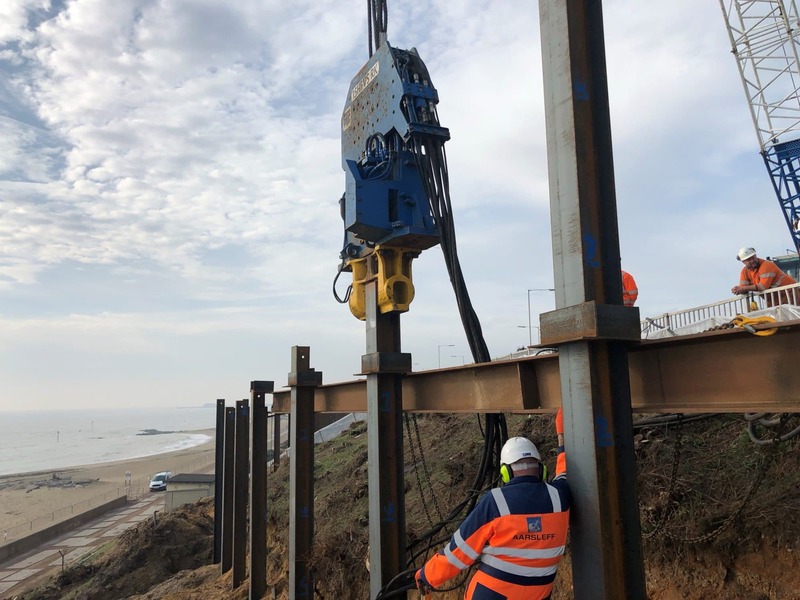 The method of King Post Walls involves drilling a hole with a high powered CFA, large diameter or mini piling rig and then filling it with concrete and installation an H beam. 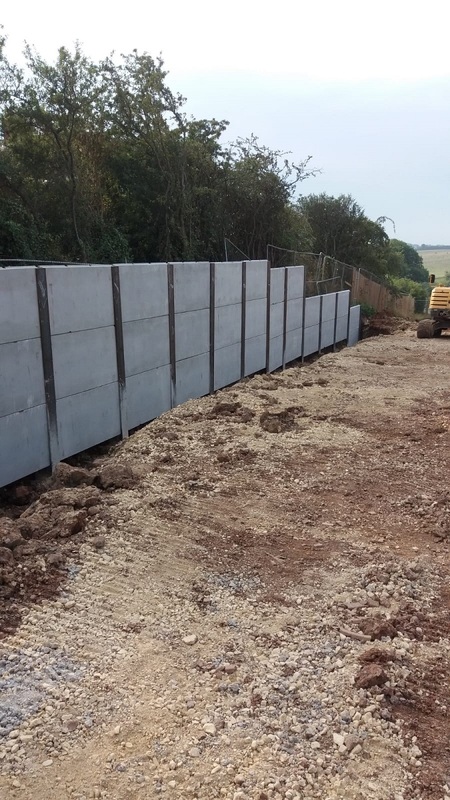 This allows concrete pre-stressed panels to be inserted between the webs of the H sections, which after excavation results in the finished embedded retaining wall. 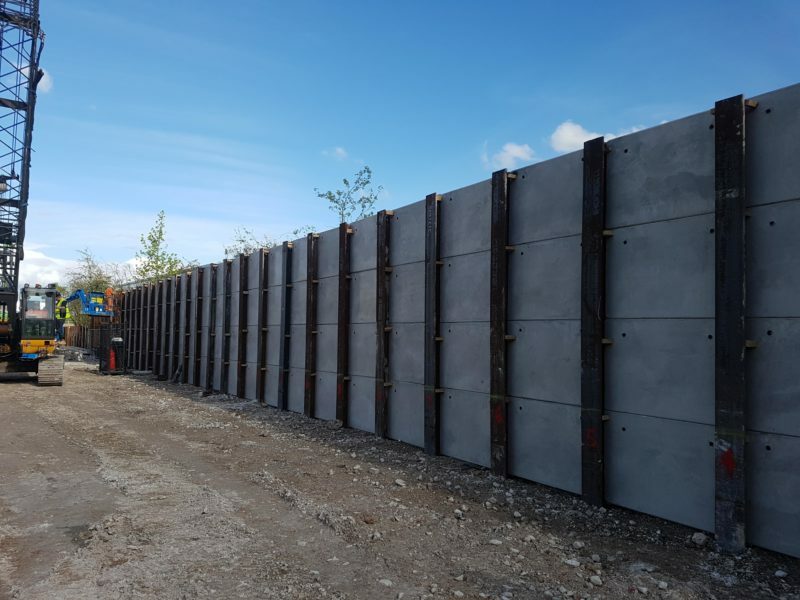 King Post Walls may be used for different retention applications and heights in different ground conditions, including rock. 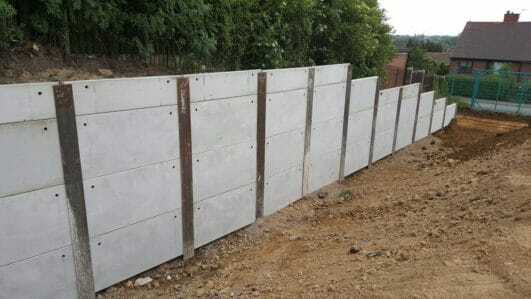 For more information on our King Post Walls, please email enquiries@aarsleff.co.uk or call 01636 611140.